Although we live in a rubber band world, I think most of us are content just hanging out in the middle. My particular brand of pain can not be wished away. Time will not take it from me. Hard work or doing the right thing or making the right choice has no effect. God didn't give it to me because he thought I could handle it- He's not mean like that. Autism is a part of my life forever. A fact that will always remain. And although I came face to face with this reality months ago, it still causes a slight ache to spell it out in letters. And when I realized this the first time... And I mean truly, really, gut wrenching, soul searching realized this- and then got pissed and hateful and jealous and bitter and sad and angry- it was then that I realized I was living in a rubber band world, and it was such a relief. I found beauty just as far to the right as I found pain to the left, but I had to look. And it's a long way to stretch to both ends. And sometimes I get tired and sometimes I miss the middle. But it is so much better than merely existing. It's less scary and easier in the middle, but I didn't come to Earth to experience less scary and easy. I can't explain how beautiful the beauty is this far on the end. So beautiful it's painful, which really doesn't make any sense at all while somehow making perfect sense all at once. Today I cleaned the toilets because it is Sunday and I always clean the toilets on Sunday. And right in the middle of cleaning, I got so annoyed. I got bored with myself and my life. A deep aching boredom that lasted for days and felt like it had no end. I used to wear business suits, and I had a sweet lady named Elsa who came to my house and she cleaned my toilets once a week. And sometimes when she came over and I was home with nothing to do, I would hide so she couldn't see me- because if I was home and doing nothing, shouldn't I really be cleaning my own toilets? Today half way through the cleaning of the toilets I played make believe because sometimes it is so much more fun than reality. Most Spectrum Kids lack the ability to pretend play, I'll be damned if I won't try to teach them by example. This morning I was not Chrissy Kelly the Mom... 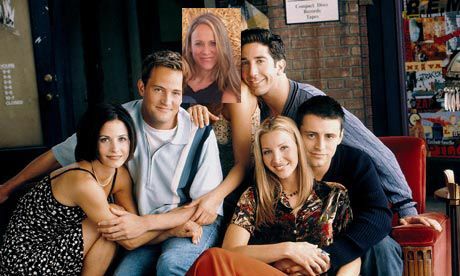 I was Christina Kelly, actress best known for her role on the TV show Friends. I am staring in an upcoming Lifetime Movie called, The Trophy Wife's Secret. Rich and powerful man marries mysterious beauty, and then - shocking - he winds up dead! But don't expect the same old story here. Before you go blaming the femme fatale or her shady secret lover, wait till all the facts are in. You're going to get a few surprises! Don't judge, it was first thing this morning and I was in my pajamas. But at the end of the day I don't want to act. I like being me. Usually. Sometimes. Donald Miller said it so good in his book, Blue Like Jazz. Everybody wants to be fancy and new. Nobody wants to be themselves. I mean, maybe people want to be themselves, but they want to be different, with different clothes or shorter hair or less fat. It's a fact. If there was a guy who just liked being himself and didn't want to be anybody else, that guy would be the most different guy in the world and everybody would want to be him. Okay fine. I just want to learn how to want to be the me that I already am. I'm so sorry, Friend. I tried. I took a deep breath and I decided today was the day we were going to join Costco. It's our obligation because we have all the other items checked off the list. Family of 4, living in a tract home in a subdivision the middle of California. The next logical step in Life is to join Costco. 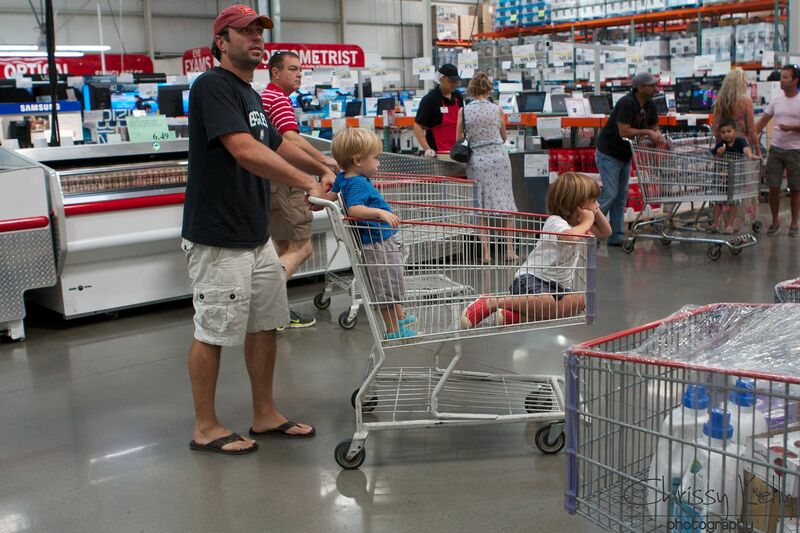 99.2% of the people we know belong to Costco. Around here it's not a matter of Do you belong to Costco? 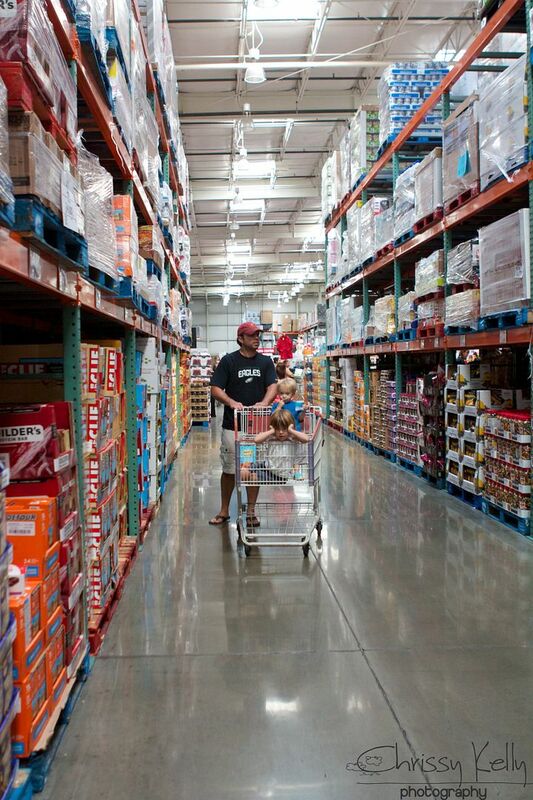 the question is, What are your favorite things to buy from Costco? And then Michael and I are forced to answer, We don't belong to Costco, and then the people look at us - as if we just asked if it were okay for us to take off our pants because we are hot. So today we went. As soon as we walked in there was a woman demonstrating a vacuum like it was 1952. Awesome. I saw her and immediately started laughing! Clearly this was for our entertainment. Brilliant- I bet research shows the more you laugh the more likely you are to buy. I was laughing, waiting for her skit to start- but she was really just demonstrating a vacuum. My heart honestly went out to her. My smile fell off my face. 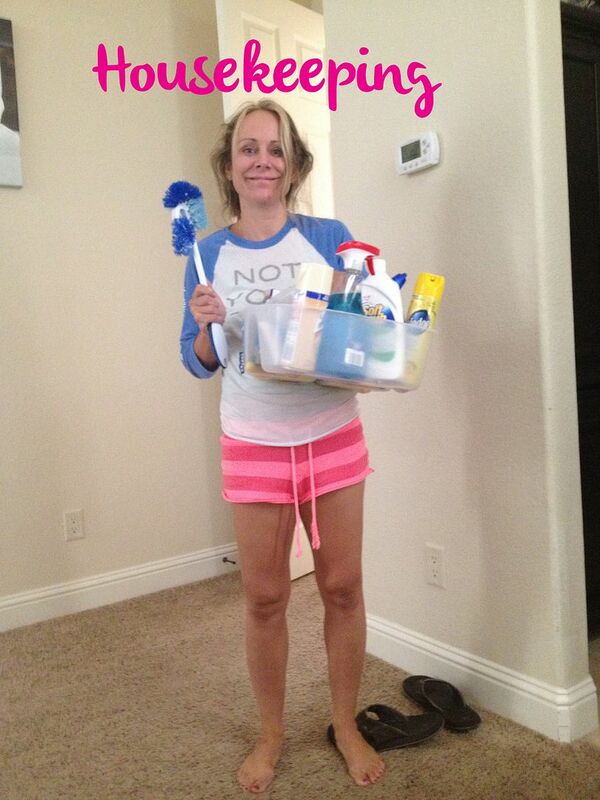 I would MUCH rather clean toilets in my pajamas than demonstrate a vacuum. I can't even vacuum in straight lines so I would certainly be fired. I hope the vacuum demonstrator was playing pretend while she was demonstrating. And as we walked around I couldn't imagine anything I needed that much of- except for coffee - but they don't sell our keurig sized cups there. And maybe sparkling water- because I usually have to trick myself to drink water- but we really don't have room in our pantry for a pallet of sparkling water. And both boys are on a gluten/dairy/soy free diet which elimates so many things. Huge pop tarts. Huge boxes of cereal. Huge bags of rice. Huge everything. I'm much too fickle to like 114oz of anything. It was much too loud for Grey. 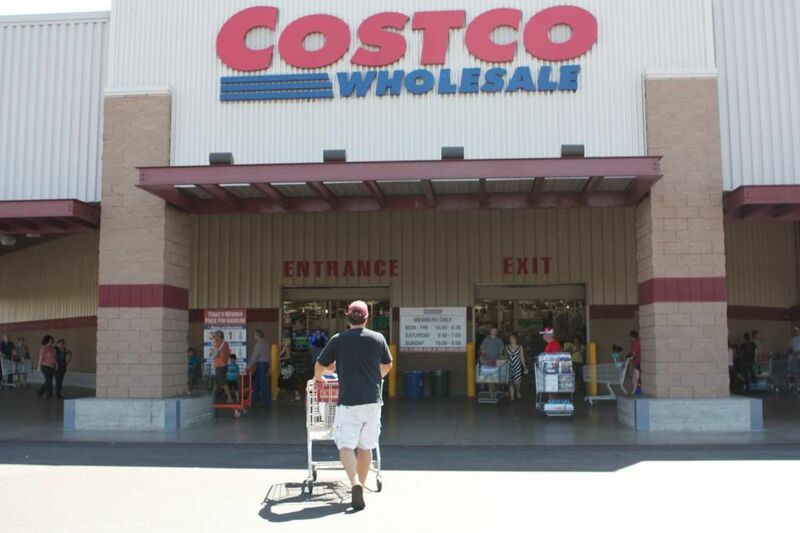 Costco gives away free samples of food- to people who apparently haven't eaten in DAYS. Some of the sample areas were like opening bell on Wall Street on the day a hot new IPO launches. At one table, they were giving out hot wings. Holy Chicken Cow. They didn't even have a chance to sit on the tray before they were violently snacked up. If you've never seen buckets of people clawing for hot wing samples as if their very LIFE depended on it- and then devoting every ounce of passion in their soul to ripping flesh off the chicken bone like a wild dog with its prey, I highly suggest you DON'T see it. I've been trying to unsee it all day. We couldn't do it. We walked out Membership free. I looked in other people's carts on the way out. Just to see if perhaps we missed something that would help us reconsider out choice- and just because I was wicked curious. Big huge boxes of big huge muffins, a bag of tortilla chips twice the size of Doodle. A box of tampons that would cover every menses from puberty to menopause. Nope, I think we're good here. Okay Monday. I'll leave you alone if you promise not to mess with me. Or my Friends. Deal? Friends, I got you this Compendium card to help you through your Monday. It is a Costco world up here too... sometimes I'll tag along if someone else is going & get something I might actually use all of, but I think the last time I did that was 5 years ago or so. So apparently I don't need gargantuan sized whatever either... nor do I have the space to store it until it's all used up. I've had more excitement in my life than I know what to do with. Maybe not as much as some people, but far enough to suit me. I would be quite happy to live the most boring life ever from now on. I know that won't happen, but I've learned that boring isn't necessarily a bad thing. I don't know if I'm in the middle or an end of the rubber band... maybe it depends how I look at it. Or how someone else looks at it. *shrug* Gonna celebrate whatever just because I can. :-D Right now, I'm going to celebrate ice cubes because I'm hot, and they are delicious & cold and make me happy. :-) Have a great day Chrissy!! We did the same thing two weeks ago, but here, it's Sam's Club, although, if you're really rich, you have memberships to both Sam's and Costco. Meat/fish- I divvy it up and freeze. One meat buy will last us a month of planned meals. Fresh fruit - great place for strawberries, blueberries, raspberries etc. Produce- artichokes, asparagus, romaine etc. Great quality at lower prices. Bread/bagels- use half, freeze half. Not gluten free. Chocolate chips and bacon- No reason necessary! Milk- a dollar cheaper per gallon than any other market. Yes, the quantities are large but as long as you divide and freeze, it cuts down tremendously on regular trips to any other market. That being said, I COMPLETELY AGREE that the "sample stalkers" are positively crazy. These people act as though they haven't been fed for weeks on end. leave their cart anywhere they desire and RUN to .. a potato chip? lol Just nuts. 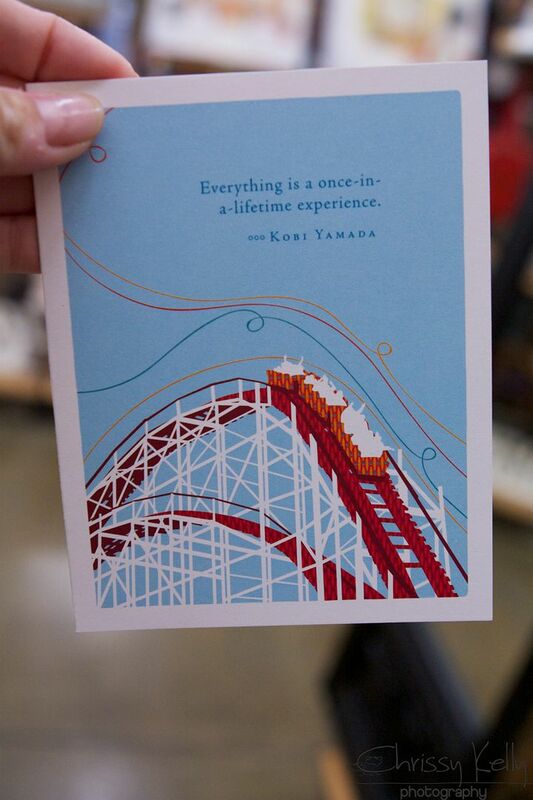 If you decide to try it again, don't go on a weekend, EVER. Go during the week! We don't have Costco in the Midwest, we have Sam's Club. I don't Sam's. My son goes on occassion with his Grandma. I'll ask him what he did today, he'll say "We went to Sam's". "Sam, who?" I ask. "Sam's CLUB, mom!" with an 4 year old sigh. Great piece...lots to think about. We do Sam's Club. For us, it's the prescription prices and our great pharmacy staff. 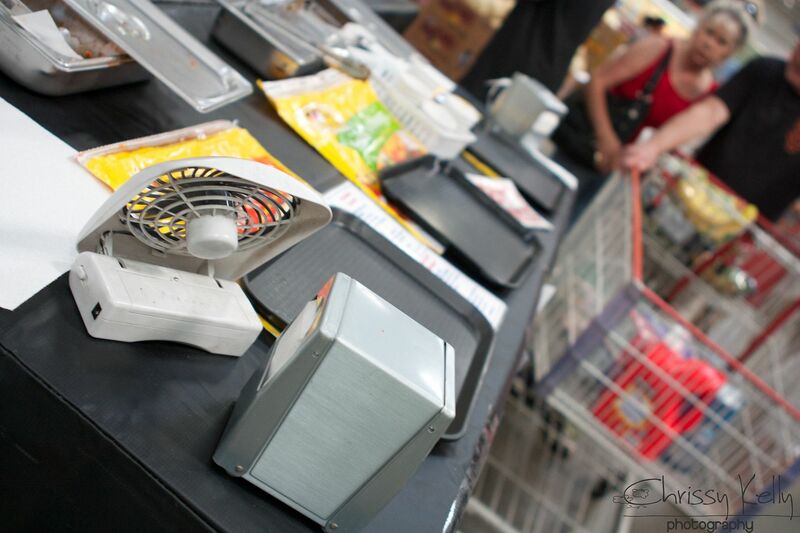 They sometimes have good prices on printer ink and small electronics/accessories. I pretty much only drink water, so I buy the cases, and yes, we recycle the bottles or even refill them. I also get baking ingredients there, which obviously isn't a benefit for you. I hear they have good prices on alcohol, but I wouldn't know, as I don't drink it. I would love to know the key to wanting to just be me. I'm sure if someone knew that they would be a millionare, or maybe someone does and they lively happily in a tiny one bedroom house with only the essentials. I don't feel like I live life in a way that I am constantly envious of others or wanting what they have but I also don't live in a way that I am satisfied with myself and my stuff either. That would be nice. Good choice on the Costco membership! We moved to a bigger city and got a membership last year. We feel guilty not going because we paid to be able to shop there, but seriously it's such a headache. We always end up trying to go and they're closed! I like to do errands first thing in the morning or at night when one of us stays home with kids, but they're only open middle of the day it seems. Also I would never recommend taking sensitive children there. My husband and I both find it an overwhelming and exhausting shopping experience and the kids were just a mess the two times we took them (daughter has generalized anxiety disorder & sensory issues; son has symptoms of Asperger's/social disorder & sensory issues - stores like that are miserable for them and us). Plus, we usually get tired of whatever we bought before it's all gone. We're letting our membership expire, lesson learned! OK, for once, we are not on the same page: I LOVE Costco! I love huge bundles of paper towels that barely fit in my trunk, cereal boxes bigger than my 4-year old, and shampoo that will last me a year. You are totally, 100% right about the samples feeding frenzy. Yuck. And I can absolutely see how it would be way too loud and over-stimulating for anyone with sensory issues -- and how the food is not exactly right for anyone with any dietary restrictions. Anyway, I'm ok agreeing to disagree if you are!